was one of the absolute highlights of all my trips to the city of love. 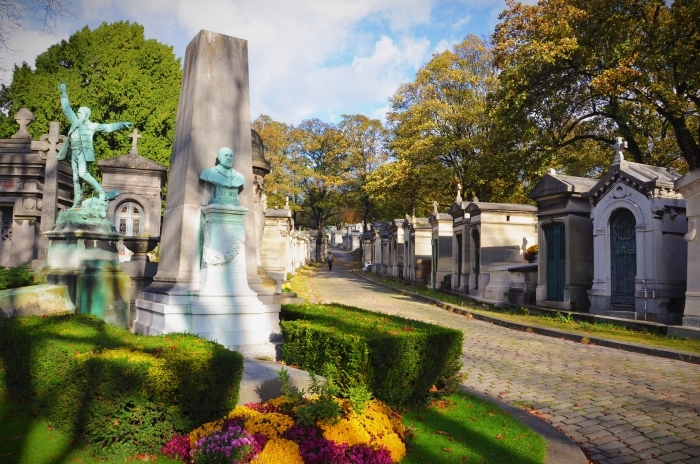 It’s not only that you can visit the famous graves of such renowned personalities like Jim Morrison, Oscar Wilde, Chopin, Colette and many many more, it is just beautiful to take a walk in the huge park and breath in the smell of centuries. 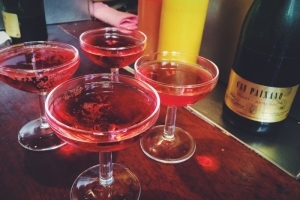 Let’s get ready for your visit with these 10 tips. 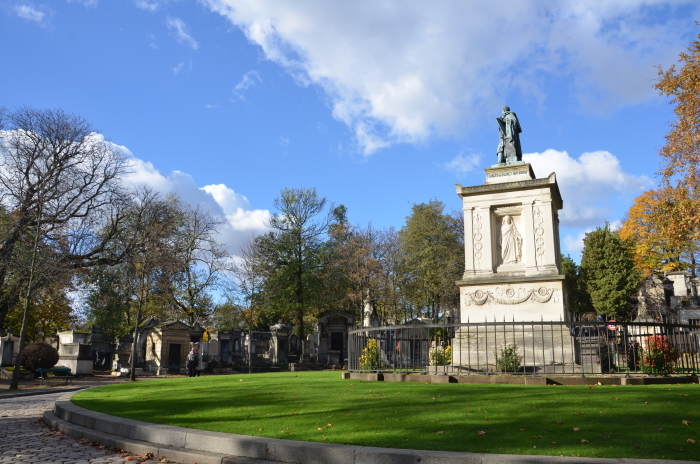 If you have the chance, try to visit Pere Lachaise on a sunny day! It’s just so incredibly nice how the sunbeams make their way though the old trees and winding paths and let the whole surrounding appear in a somewhat magical light. 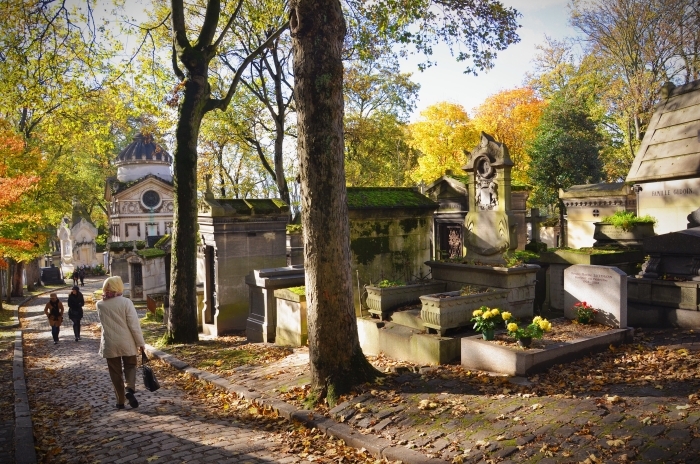 Visit Pere Lachaise Cemetery in Paris on an autumn day. Or summer day. Or winter. Or whatever. Seriously, the park is nice at any weather conditions. Even if it rains, just grab an umbrella and go for it. You won’t regret it. 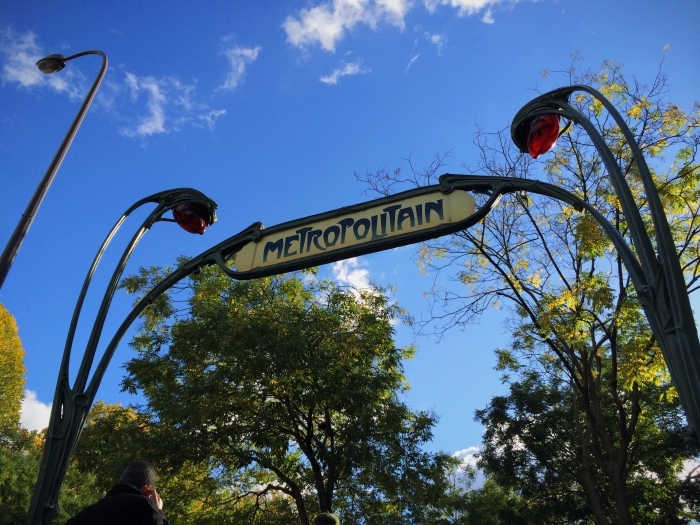 When arriving by Metro, most visitors get off at the “Père Lachaise” stop. Mais non! Better get off at Gambetta station. 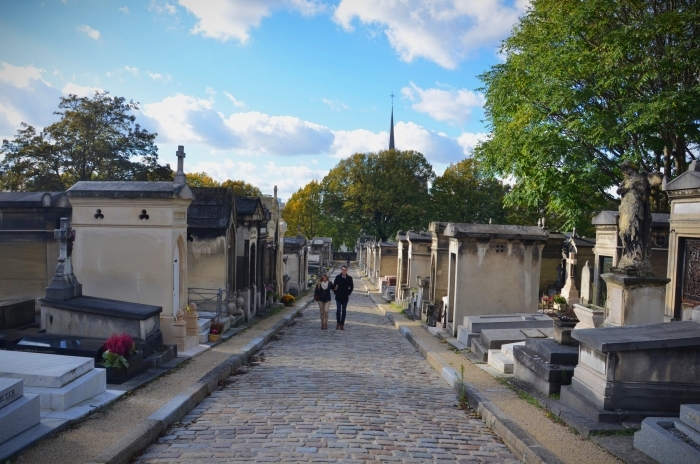 That will lead you straight to the back entrance of the cemetery, which means that when entering Pere Lachaise, you can walk relaxing downhill instead of uphill. Try to fix which graves you want to see previous to your visit. 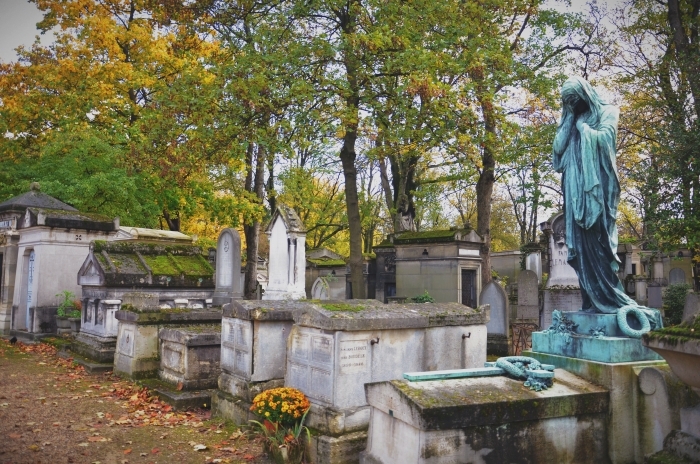 Believe me, this cemetery in Paris is just way too big to see everything. Better choose a few sites, print out a map and mark the graves. Forget tip no. 4! Just walk the cobbled lanes and get wonderfully lost! 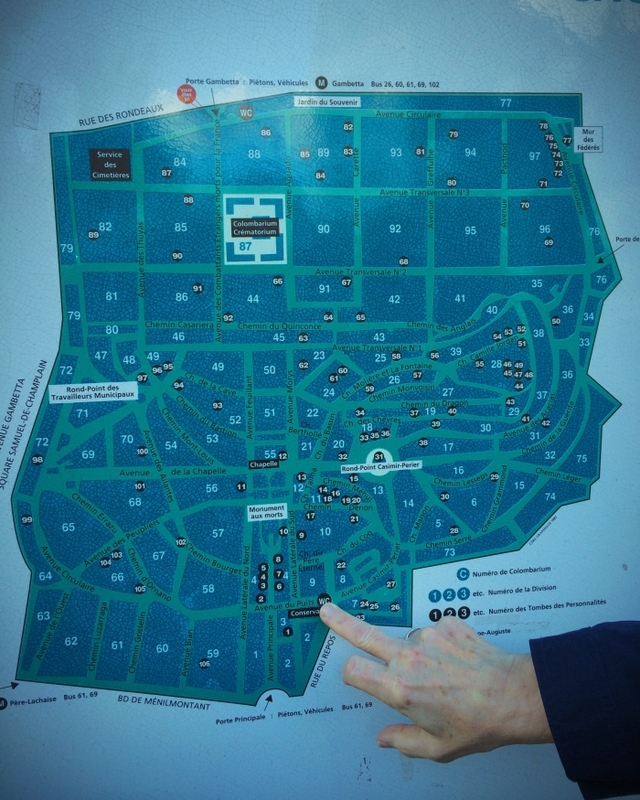 Find a huge map of the Pere Lachaise at one of the main entrances called Porte Gambetta and Porte des Amandiers. Take a photo of it with your smartphone or your digital camera so you have it with you when getting lost. (And be sure, you will get lost!) Even better in case they are in stock: grab a free map at the entrance. Don’t miss the cemetery’s summit. It’s a small hike up the hill but it’s more than worth it. You’ll have a wonderful view from up there. When at the back of the cemetery Pere Lachaise visit the “Mur des Federes”, the wall where the communards have been shot in the year 1871. 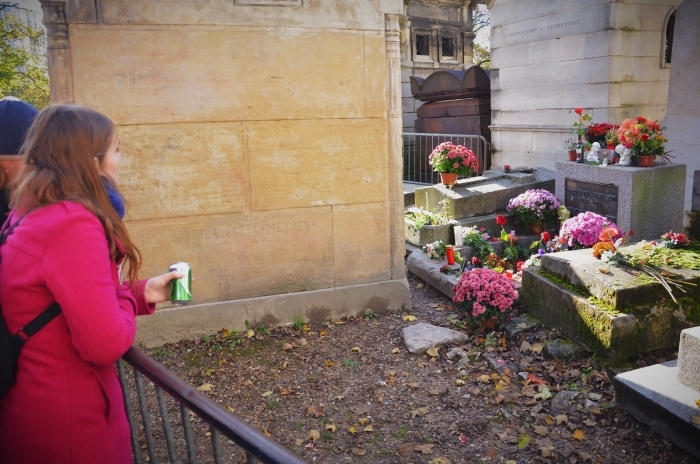 In case you get thirsty from the long walk through Pere Lachaise, ask the hipsters in front of Jim Morrisons grave for a drink (Yes, the leadsinger of The Doors). At least one of them will have some red wine, beer or liquor left. 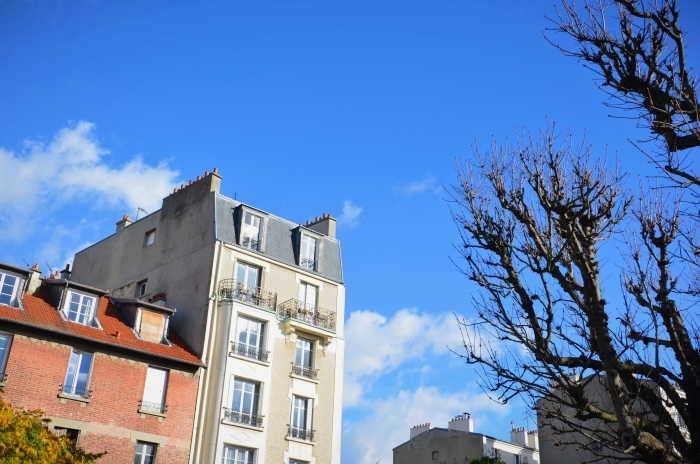 Oh and one more thing, in case you like Paris, try the Provence in the south of France. 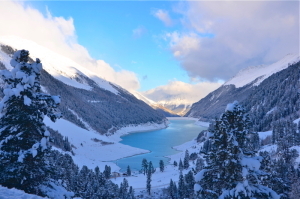 I’ve been there on a snowy new year’s day ages ago. And I met Jim Morrison who led us to his grave. Hahah! You mean, like, after 2 bottles of Scotch? I didn’t know there was a bell before closing time. 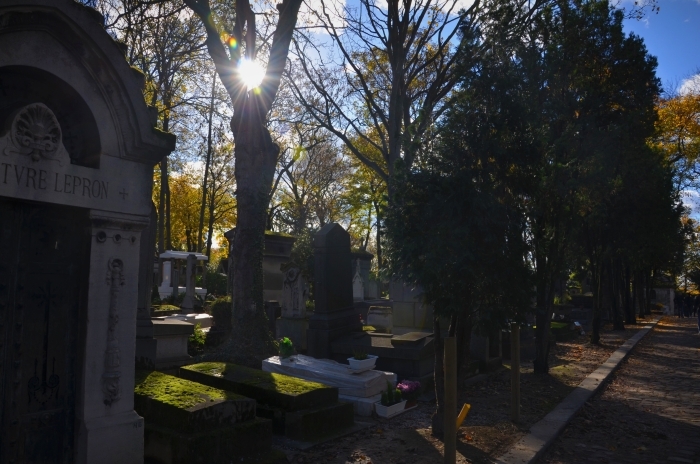 I went to Père Lachaise last November. Even though the weather was not that great I enjoyed my visit. They should have free maps available at all the entrances and at all times nevertheless. I lost so much time without one, and when I finally found the entrance where they had them, the information centre was closed! Oh yes, Stefania, I totally know what you mean. I also wanted to visit some particular graves, but it seemed like without a map, some are pretty hard to find! Pere Lachaise was awesome! 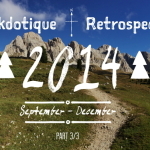 I went over the summer. 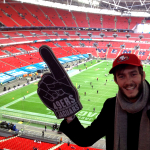 It was a very cool experience! I agree with your tip to plan ahead. We did, but were still lost! I stopped at the grave site of Adolphe Sax-inventor of the saxophone. The ground staff wouldn’t tell me where to find Morrison’s grave site. Great post! 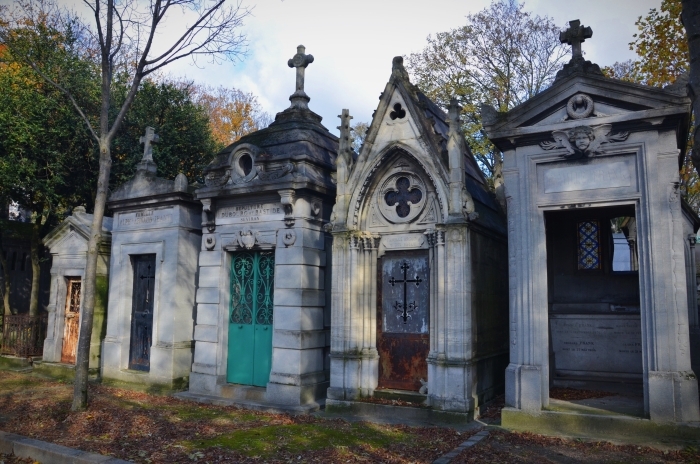 I’ve always wanted to visit Pere Lachaise, so this will be helpful of my next trip to Paris.